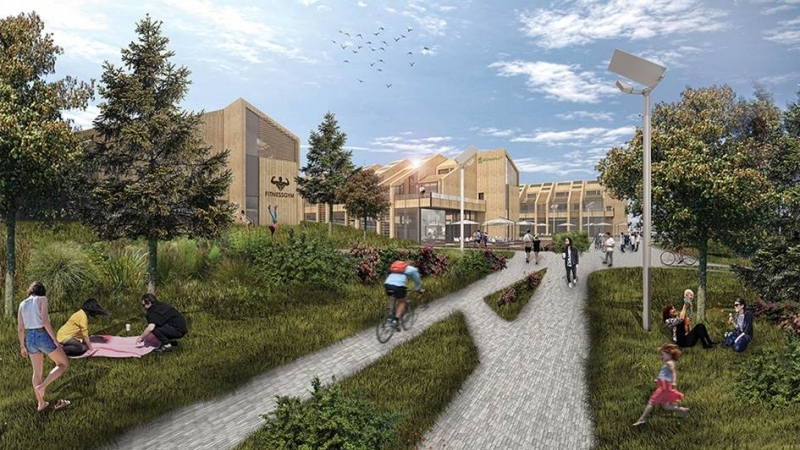 UJ STUDENTS SHINE AT THE GLOBAL ISOVER MULTI-COMFORT STUDENT’S ARCHITECTURAL COMPETITION. 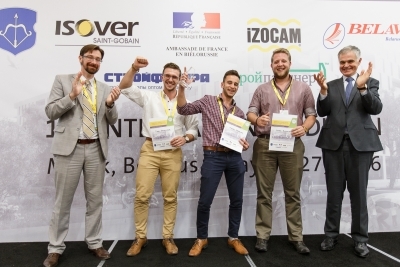 Coming in second place in the ISOVER Global Multi-comfort design Student’s competition, Miguel Carvalho, James Russwurm and Tiago Vasconcelos achieved the highest first time entry for any country in the history of this competition. The ISOVER Students competition has been an annual highlight on the event calendar of ISOVER Global for the past twelve years, and 2016 saw South-Africa participate for the first time. A feat accomplished in just 6 short weeks, 24 entrants from the University of Johannesburg’s Architecture department jumped in with great enthusiasm, and astounded the judges with their ingenuity, commitment and skill. The setting for this year’s competition was Brest in Belarus. 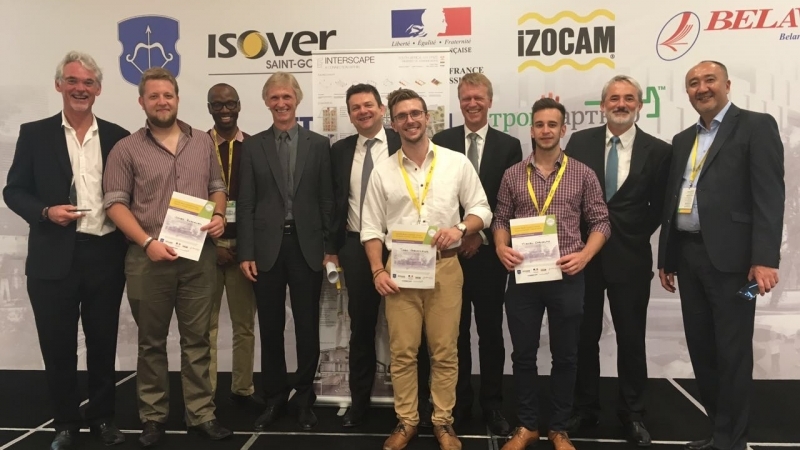 Leading up to the millennial celebrations of this city in 2019, students were offered two plots in the city to propose urban multi-purpose building design, with a key focus on energy efficient building techniques, and of course designing Multi-Comfort spaces, taking all elements of comfort into consideration, and correctly applying Saint-Gobain and Isover products to achieve optimal performance. With the drastic climate changes throughout the year, this was a task that demanded focus, fine consideration and a deep understanding of how to use the environment as part of your design. Our ambassadors from South-Africa won the South-African leg of this competition and were given the opportunity to present their proposal on a global stage in Belarus among 54 other teams from 23 countries, South-Africa being the only country from the southern-hemisphere. This prestigious event was hosted in Brest on from 25 – 28 May 2016. Says Sibusiso Mthembu, Business Development Manager for ISOVER SA, who coordinated the South-African leg of this competition; “It was an exceptionally proud and surreal moment when we realized that we had won the second prize. The contestants faced a number of challenges; they only had six weeks to prepare, as opposed to six months for their northern counterparts. 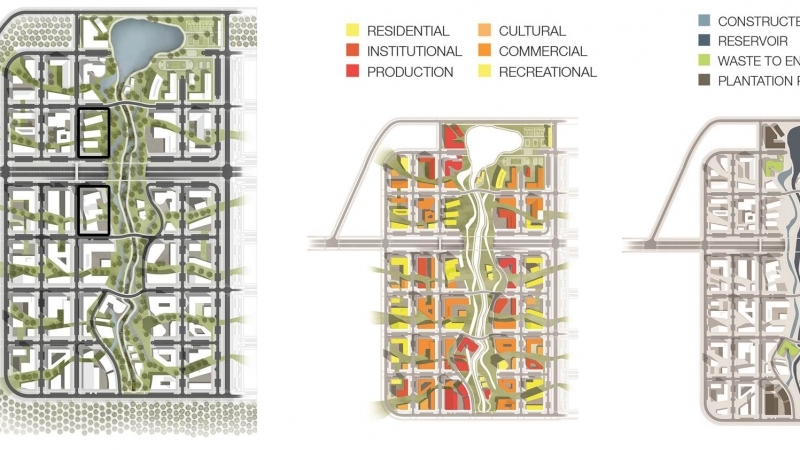 Also, their inherent frame of reference when designing talks to the Southern-hemisphere and not that of the Northern-hemisphere where these plots are situated. They had to change their whole perspective and keep it in mind during design stages. I am indeed astounded by the quality of work they have produced within these circumstances, and was very proud to showcase our talent on the global stage”. Sibu has been the driving force behind this achievement. His commitment to this project has been highly commended, and the students all agree that this has been the highlight of their studies so far. In conversation with the students before their departure to Belarus, they beamed with confidence already having won the South-African leg. When asked why they felt that they stood a chance at making it to the top, their answer was unanimous, they have done their homework, every bit of research that they could and they have made sure that they applied and answered the brief to the very finest detail. They truly are a testament to the quality of education at the University of Johannesburg, and they are proud alumni of this institution. They spoke with great respect towards their tutors and lecturers, who have guided and assisted them throughout the process, and also with immense gratitude towards Sibu whose guidance and assistance has motivated them consistently at all times. Ken Stucke (Lecturer UJ), James Russwurm (Student UJ), Sibusiso Mthembu (Business Development Manager ISOVER SA), Roland Matzig (Architect, RMP Architects Germany), Fabrice Didier (Chief Marketing Officer Saint-Gobain Group), Tiago Carvalho (Student UJ), Leif Andersson (International Manager Innovation & Solutions, Saint-Gobain Insulation France), Miguel Vasconcelos (Student UJ), Slawomir Szpunar (International Marketing Director, Saint-Gobain France), Telman Tyshkanbayev (Architect, troy-Logistic Kazakhstan).